More manga incoming on the review request train. Now reading licensed, unlicensed, fanilations, and doujins. Not all of those will be reviewed of course. Licensed manga deserves no attention from us considering they don’t send us review copies. Which of course if why we’re not only reviewing licensed manga but adaptations of video games. Tim reviews The Legend of Zelda Majora’s Mask. Which is, coincidentally, the last Zelda game he bothered to play. He tried to make excuses about how hard it was to keep up and how it’s not worth buying a separate console for a couple of games. 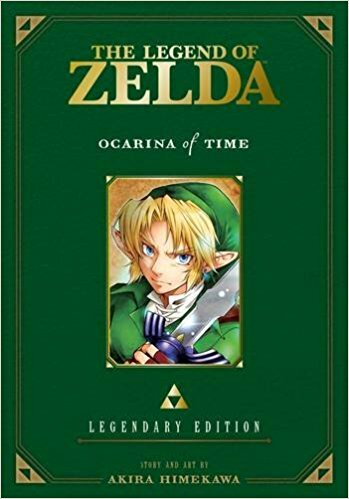 As far as the manga, he’s thrown that Link isn’t a silent protagonist in it like in the games. It also takes place over a single reset of the town. It gets a Borders. Weltall then reviews Ocarina of Time. Like in the last the Mask, Link is also not a silent protagonist. Weltall is disappointed that the sexual subtext between Link and the high priestesses isn’t made explicit. Though it’s hilarious how they’re made out now to seem like they’re dodging a dating bullet and retreating to their role as sage. “Sorry we can’t marry Link, it’s, uh, because I’m a sage. Yeah.” It also gets a Borders. Previous PostEpisode 579: Fall 2018 Previews #4Next PostVG Pulse 317: Fanboy Stuffing! !